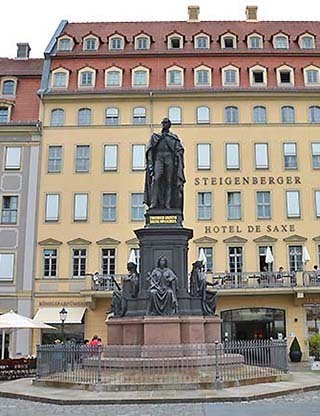 A bronze statue of Frederick Augustus II, the Saxon king, stands on the Old Market Square in Old Town. 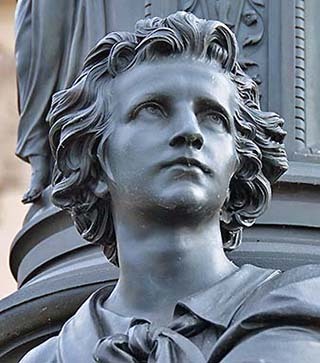 In a city of statues, this is the face of one. Flowers accent Old Town Dresden, Germany. 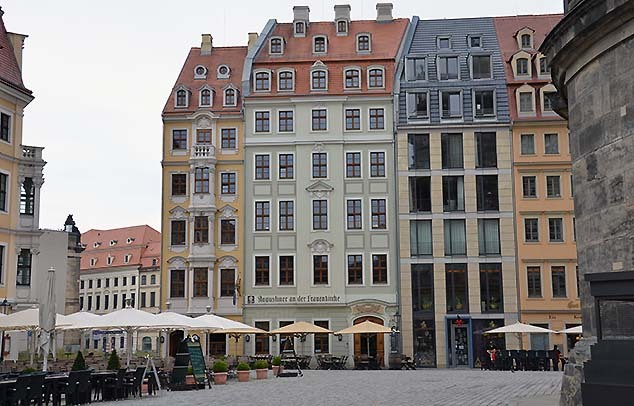 Dresden's Old Town is certainly the center of city life. These are a few of its colorful 18th century apartment buildings. 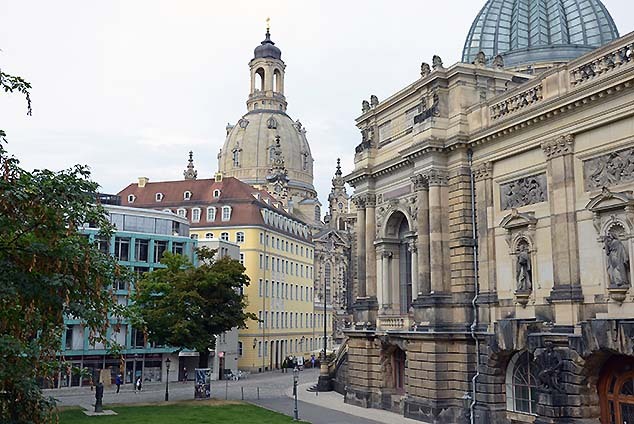 Despite the nearly complete destruction of the inner city at the end of WWII, Dresden's skyline - a fantastic assemblage of Baroque, Neo-Baroque, and late Renaissance towers - remains one of the most charming sights of Europe. 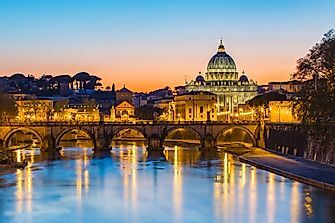 The river Elbe, which flows right past Dresden's Old Town, is lined with wide, grassy riverbanks, which offer stunning views of the Old Town. 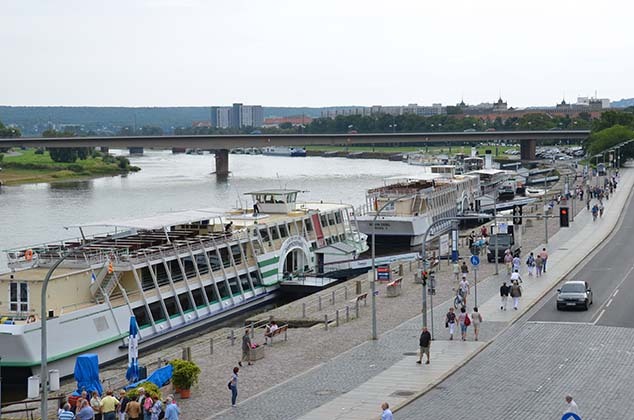 On the weekends, hundreds of locals and visitors alike take an afternoon boat trip down the Elbe. 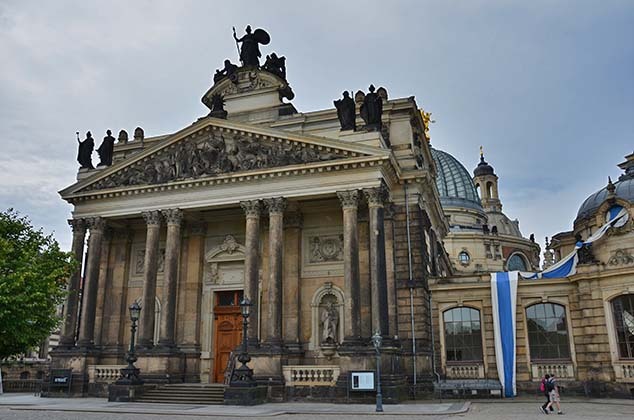 This is one of the three buildings of today's Dresden Academy of Fine Arts, the former Royal Academy of Arts, built in 1894. Since 1991, the building has been heavily renovated and the parts that were destroyed during World War II were reconstructed. 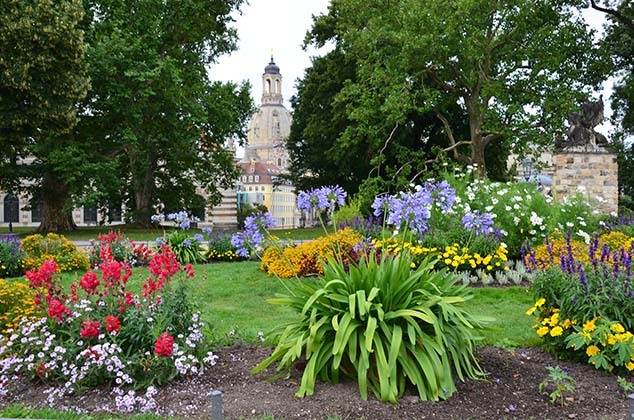 A lovely city park along the Elbe River in Dresden, Germany. 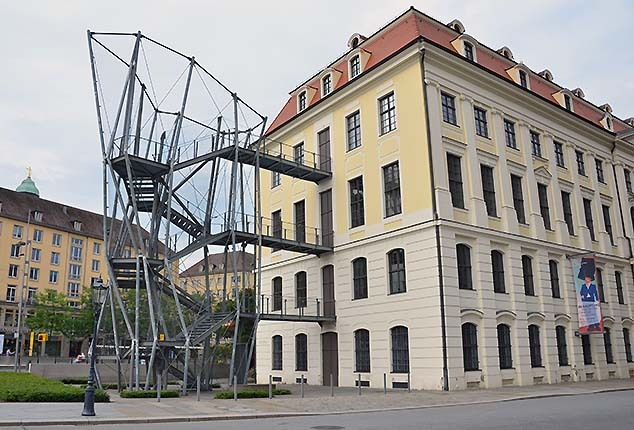 A rather unusual fire escape on a building in Dresden, Germany. 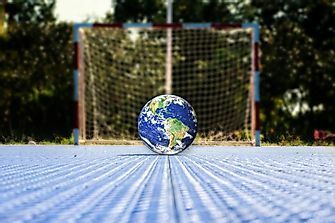 This safety option (not used any longer) is built of a metal frame, with mesh covering all opens spaces so people using it would not fall through; quite innovative.